Travel no farther than your desk! 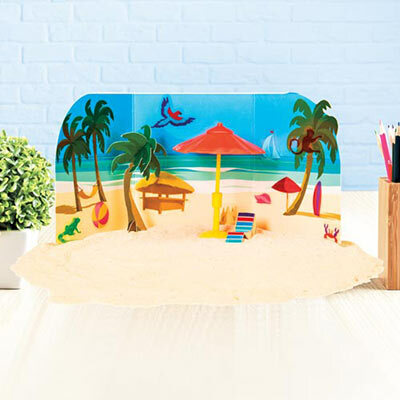 This Desktop Paradise includes mat with sand, hammock, paper palm trees, ocean sound effects, paradise-themed stickers and more. Imported. Ages 7 and up. Hurry! Quantities are limited!